“Cheryl, I want a divorce,” he said. After David left I found a grief website where I met Keith who’d also lost a baby to SIDS. We never shared photos, but our conversations grew more intimate. In time we agreed to meet in a nearby park. As the fog lifts I see my true love for the first time. His tear-filled brown eyes engulf me. Oh can I be the first to comment.. yes a wonderful and sad story.. I think loosing a child would be the most disruptive things ever.. and if you disagree on how to cope… then you walk apart. I’ve seen friends go through this horror. It tore their marriage apart. Interesting to read your story and look at the photo again. Truly a sad thing to have happen to a family. I count my blessings for mine. This photo should inspire some interesting stories. Years ago some friends of ours suffered the loss of an infant. Theirs wasn’t a happy ending. I join you in that blessing counting, my friend. You caught me. That song was one of the influences for this story. I’ve always loved the irony of it. Glad it worked in this story. Today is a really bad lupus day for me. I’m trying to rest, seeing how I also have a migraine. It seems nothing was really helping, then I remembered the Friday fictioneers. I know reading might make the migraine worse but, oh well I feel like some light reading. I’m so glad I read your story, it brought tears to my eyes. Truly beautiful, keep it up. I thought about that pin a colada song too but was too embarrassed at first to say so! That;s lovely – a true love story which brought a lump to my throat. Thank you for the lovely comment. 😉 You made me smile. I’d like to believe that maybe some stories like this do have happy endings. .I’ve known the opposite to be overwhelmingly true. We’ve had at least three of our couple-friends divorce after the loss of a child. A lovely story that, in addition to having a nod to lifting fog, is, though not at first blush, very similar to mine. Nice to see you here. i like that there’s deep sadness but at the same time great joy in this piece. glad that they were both able to heal and that the love survived despite the horrible tragedy. not easy to start over but i guess with the right person, it’s possible. beautiful story, Rochelle. I agree. With the right person it’s possible. I’ve known some whose love didn’t survive the tragedy of child loss. Sometimes when tragedy strikes, we get lost…but sometimes we are lucky enough to find our way back. Loved your story, Rochelle. All too often tragedy divides and some never conquer. So clever. Very interesting how you put it in the first peson – and I agree very much, though many in FF put in 3rd person – hope that gives food for thought to them, because the immediacy of 1st person is so powerful…or maybe your story and writing just is! I’ve never been a huge fan of first person but have come to realize that sometimes it’s the only voice to use in a story. It does bring it to the up close and personal realm. Your compliments warm and encourage me this morning. Beautiful ending, Rochelle. 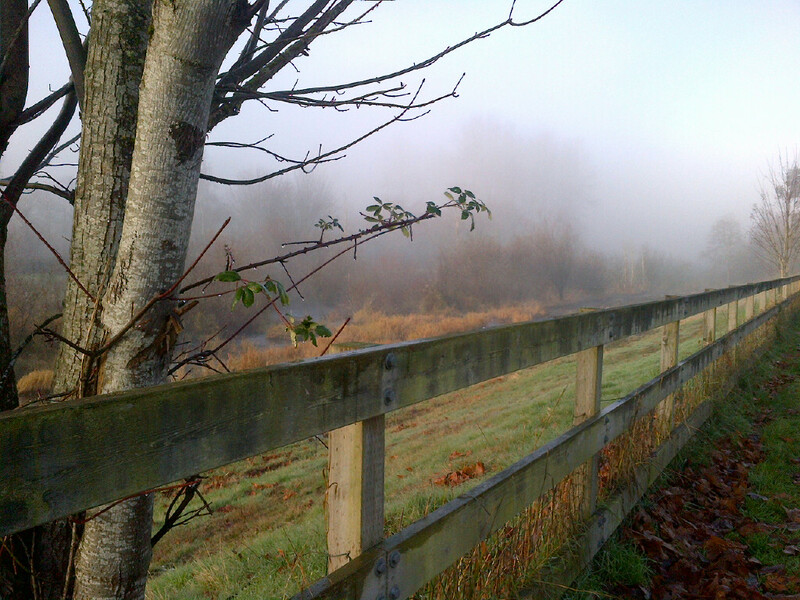 It can take a long time for the fog to lift…. Alas for the ones I know personally who’ve experienced such loss, the fog never lifted. I guess I wanted to right that wrong if only in fiction. What a wonderfully written story. Grief should pull a couple together but I pray I’m never put through that test. One would think and hope that grief would pull a couple together. Unfortunately I’ve seen this with three different friends of ours. Each marriage ending in divorce. 😦 I also pray never to be put to this test. A really beautiful tale in the wake of a tragedy. I knew where this was going, as it would be the kind of thing I would have done. You wrote it a darn sight better than I could have done though. The feeling you put in this gave me a lump in my throat and my eyes to twitch. A really good story Rochelle. Great minds think alike. Nice to read that I left a lump and eye twitches. Compliments don’t get much better. As Janet said about my picture of my mojito at Caesar’s Palace, the pineapple wedge is probably added to prevent scurvy. I think I missed something in the translation. Mojito? Pineapple wedge? Have you been congregating at the corner tabernacle? Closing the stain glass window. Actually I was thinking of the pina colada reference Sandra talked about which led me to remember the great mojito I had in Vegas. What a lovely and sad story. The death of a child often tears worlds apart, effecting not only the parents but the ones closest to them. too. That’s certainly true. We’ve had three of our coupled friends lose babies when our children were small. It had a profound effect on us. Particularly when those marriages all ended in divorce. Lovely story. Always good when the fog lifts and people reconcile after a tragedy. Was reading this news story about a married couple who individually decided to meet other people through a dating website. They turned out meeting each other (compatibility right?). That would have caused the fog to settle down again – pretty darned thick fog. Truth is often stranger than fiction as the cliche goes. Thanks for sharing that story. Alas all too many marriages don’t survive such tragedy. Or a sad way to meet again, eh? 😉 Glad you liked it. Love it! After reading Sandra’s comment I had to google the Pina Colada song. I’ve known it and sung part of it forever but never really knew all the lyrics. I love that song all over again. I will probably be singing it all day! Thanks! Catchy tune that song, eh? It did influence my story. 😉 Glad you liked it. This made my heart leap, Rochelle. I too immediately thought of the Pina Colada song. I don’t know why this prompt brought out the mushy side of me. Must be all of that time I spent out in the country yesterday. Nature does that to me. Exceptional, as always! The song really was an influence. I rather liked the idea of a couple for whatever reason looking for love elsewhere and finding they had the right person all along. I’m pleased to see that it appealed to your mushy side. A sad twist on a familiar story — do you like Pina Coladas and getting caught in the rain? Sorry, couldn’t help myself, darling. If you’re not into yoga, if you have half a brain. I couldn’t resist either, Helena. Yes, I was influenced by the song and a few other life incidents. I’m guessing this was a positive? Anonymity can definitely be easier, one reason for the popularity of the internet and virtual communication I think. I’m happy to have brought a smile to your face. Keep it there as long as possible. Now that is serendipity if ever I saw it! As someone who traffics in believing the impossible I found your story a providential certainty. Someone somewhere is living something similar right now! 😀 And I have hopes for a few happy endings. I loved the idea of your story. I always have mixed emotions about the Pina Colada song because they are both still cheating, even if it turns out it’s with each other. By contrast, your version is about restoration and recovery. I’ll be honest and say I think the writing isn’t as tight as some of your other stories. I think this is partly a result of the dialogue form, especially word-limit-cramped dialogue. “My husband”, for example, feels like exposition, and unnecessary in light of the word “divorce”. Your description and language are usually so rich (like the fog lifting line, which is definitely you) and that’s missing from much of this piece. You make perfect sense. I always appreciate your honesty. I tend to agree with you on “my husband” however, in this instance, I felt the dialogue. unadorned though it may be, necessary to the overall story. As for the piña colada song, I always enjoyed the irony of it and that was a jumping off point. I’ve also had three close friends lose babies, one to SIDS, one to meningitis, and one, at stillbirth. In each case, the marriage ended. OMG…I got chills from the top of my shoulders to my toes! What a great use of this prompt! The fog metaphor works beautifully. Neatly crafted. One of your best recently. Thank you for such an affirming comment. I’m a little late replying. Insanely busy week. Ah, the mist clears, but can their love last? I don’t think so. Some things are not survivable. It’s hard to say if their love will last. I prefer to think it will as they’ve communicated with each other on a deep level. Alas for the ones who influenced my story, their marriages didn’t survive. But I also know there are success stories out there. Glad you have you back. Sorry, but I am very new to this. Do I post the pictures with the copyright information on my site, then create the link on your site for the Friday Fictioneers ? You may post the pictures if you want to but it’s not mandatory. The only one that I recommend you do post, of course, is the prompt itself. Post your story and then create the link clicking the blue froggy creature. If I can be of further assistance let me know. Thanks and I think it was done correctly. This was just wonderful. I got the chills when I got to the end. Beautiful piece. Chills are a good thing from my perspective. 😉 Very nice of you to say. Sad but true. A co-worker went through this, but no reconciliation. Three of our friends lost small children in one way or another, one to SIDS. Non of the marriages survived. 😦 I thought at least one story deserved a happy ending. Thank you for commenting. Powerful writing Rochelle dear. I could feel the grief. Liked the ending. Grief sends apart some and bring together some. Your comments always buoy me and make me smile. I’ve seen three friends go though the loss of children. Each marriage ended. I’ve always felt great sadness for them. I guess I wanted to see at least one happy ending. Very sweet Rochelle. All is possible with on line line friends. All happens in virtual as it does in reality. Online friends can be more intimate than in the flesh it seems. There’s something nonthreatening about a face you can’t see and typing your feelings I think. Although a couple of online friendships for me have blossomed into much more. For this I’m most grateful. You tug all the right bits, m’lady. A heart-rending topic with an optimistic ending. It’s tragic how the pain that connects two people can only be alleviated if they turn a new leaf in their lives. Sad but true. Well done! I honestly can’t imagine that particular type of grief. I’ve lost parents and friends over the years, but my children grew up relatively healthy. 😉 For this I’m extremely grateful. Awww.. So sad, but so romantic. I really want to know if they get back together. Did he suspect who she was? So sad and yet would love to see more. In my mind I think they were both clueless as to the other’s identity. I’d like to think that the time apart communicating their deepest thoughts will keep them together. Poignant. Great that they came together again. The gods were with them. I’ve seen three marriages end in despair and divorce after the loss of a child. I guess I wanted to see a positive outcome for a change. Wow. All I can say is Wow!!!! Okay, I can also say Great Story. Great dialogue, strong characters and you have achieved an excellent connection to the reader. Wow is nice. Wow is head-turning. Many thanks. What a tragic event but a happy ending (as happy as it could be after that happening). Beautifully written as ever. Life is a bittersweet proposition, isn’t it? Thank you for your affirming comments. One of my favorite lines from a song/movie is from Fiddler on the Roof in the song L’Chaim which means to life. “Life has a way of confusing us, blessing and bruising us.” And so it does. Alas, I’ve seen three marriages close to me break up due to the loss of a child. Thank you for your sweet comments. They’re always appreciated. I’m very slow getting around this week. It’s our busiest season in the bakery. Lots of graduation cakes for this cake decorator. Ooh,you decorate cakes Rochelle?Wow!I wish we lived nearby-I would have loved to come and see you work-I bet you are excellent! As I’ve confessed in earlier comments, Escape was one of my influences for this story. 😉 I’m a words person so I enjoyed the irony in the song that these two were looking for greener pastures and found them in each other. There were some other influences as well. They all came together to shape what my story became. Ah the 70’s. Polyester leisure suits, mullets and disco? What were we thinking? What were we thinking, indeed! I hadn’t read the comments this week, so missed that. Frankly, you’re far too popular, and reading the 90+ comments you get… in addition to the stories… I’ll leave that to you! You seem to have more energy than any of us! 😉 Have a wonderful weekend! A very moving story, Rochelle and cleverly done. I’m glad they got back together after such a tragic event. In reality I fear that more often than not the marriage fails. I wanted a happier ending. A sweet and moving story – and an interesting comment on how much easier it could be to talk to each other anonymously sometimes. I know a couple who email each other in times of stress, rather than face to face talking because the distance allows them to say what they want without the immediacy or the raw emotion, it wouldn’t work for me (I like to shout!) but it works for them. Your couple sounds wise. I used to write notes to my husband in times of stress. (It usually turned out badly, but that’s another story.) Shouting never worked for me either. I’m sure both David and Cheryl blamed themselves and each other when in reality neither of them could’ve prevented the tragedy. At any rate I’m pleased you liked my story. I like how she reacts objectively when she thinks he is someone else talking about their wife. It would be quite a wakeup to realize it was really her. I like this sort of ironic story since it has a happy ending. You went in the direction I wanted you to go. 😀 I enjoyed writing this one. Many thanks for taking the time to drop by and comment. Bitter sweet. I guess they just needed to step away from each other for a bit. I think it helped that they found someone to talk to. I was happy to write that they found each other. 😉 Wish it were really that way for some I know whose marriages didn’t survive the tragedies. It sounds like your friends weathered the tragedy and stayed together. I’m sure they’ll always think of that lost baby. We had some friends who lost a baby to SIDS as well. Their marriage didn’t last. Sad but true. Thank you for you sweet comments on my story. It seems that many of us have known couples who divorced after losing a child. You’d think it would draw them together but it is more often not the case. I have high hopes for Cheryl and David, particularly since they’re fictitious. 😉 Thanks for swinging by to read and comment. We lost a baby to miscarriage early on in our marriage. It was very hard. So many times people will focus on the mom and forget the dad also lost a child and they are hurting too. I confess. The Piña Colada song “Escape” influenced my story. I always loved the irony of it. Sorry for your loss. And it is true about dads. I’ve known three couples who split over the loss of a child. I was pleased to read Cheryl and David came together again. Working through grief is sometimes something people can only do alone – having someone else who cares/ to care for only gets in the way. You portrayed so well that initial pain and the later resolution. Lovely story. Reminds me a little of the piña colada song, but in a less smarmy way. I like happy endings, in spite of loss. Once more I confess to being influenced by the song, “Escape.” I always loved the irony of it. The rub came in finding the reasons and changing the scenario a bit. When Rupert Holmes sang the song there really wasn’t an internet. 😉 At any rate, I’m rambling. Glad you liked my story. I love your picture. Thanks for the loan and thanks for taking the time to read and comment. What a sweet ending. Sometimes it’s easier for people to understand things when it comes from someone else; even if that person isn’t someone else. I agree. The anonymity of an online friend is less threatening. Well done story about a devastating reality–and a happy ending. Very nice. Thank you for your affirming comments. Nice to read. Yours upped the aw factor this week. Also nice to read. I guess the mist inspires sadness. 😉 I guess I wrote a scene I’d like to see. Rochelle, such a haunting scenario for the couples involved. I can’t imagine how one ever recovers from such a horrific event such as SIDS. I imagine many couples part ways. I’m glad it has a sort of happy ending. Life goes on. Great story! Glad you liked my story. Thank you. Thank you, Larry. How true. Oh, that gave me goose bumps! You always have something really nifty! the pain of loss comes through clearly in your writing, Rochelle. relationships are tough at times and add a loss, especially a child . . . i enjoyed reading your story. Your comment makes me ache. I can only imagine how you as a pastor must’ve felt doing these funerals. Three of our coupled friends, when our children were all small, lost babies, one to meningitis, one to SIDS and another to stillbirth. The last was the hardest for me because this friend and I had both prayed to conceive. She was a type 1 diabetic and her pregnancy was proclaimed a miracle. The baby boy died inside of her and she was forced to deliver it. It took me a while to get over the guilt of my having a healthy son. At any rate all three marriages ended in divorce. I still hurt when I think about these. The pain of losing a child I can only try and imagine. I know people whose marriages have fallen apart after the death of a child, they just cannot bear the constant reminder, it’s just too much. Sad story but with such a lovely note of hope and healing at the end. Thank you, Roger. Nice to see you here. No worries. I’ve often been known for my dark stories. Glad you liked this one. Thank you for commenting. Many couples stay married for the sake of their children, even if the love is no longer there…Some fall into the blame game instead of supporting each other. This is a lovely story – finding happiness in tragedy..
It’s nice to see you back here. 😉 I’ve not know many couples to weather this type of storm. Not quite a happily-ever-after (as stillbirth and SIDS continue to resonate through a marriage or family), but a lovely, hopeful ending nonetheless, Rochelle. 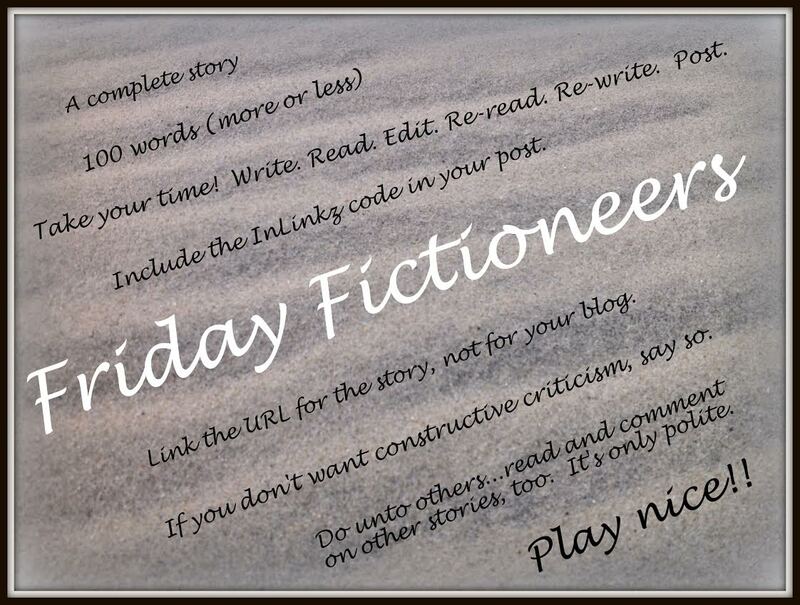 I am happy to “return” to doing some Friday Fictioneers challenges, but mine is way overlong this time, almost 400 words, so I don’t know if you want me to link it up this time (http://leighswordsmithery.wordpress.com/2014/05/26/short-story-memory-of-mountains/), and quite a bit darker. Any criticism or interpretations welcome. And if I don’t say it often or enough, thank you for doing Friday Fictioneers, Rochelle. It’s a terrific meetingplace/ideaspace/workplace for writers. I think Cheryl and David have a healing journey ahead of them but at least they realize they love each other still. I’m pleased to see you back. I’m not sure what to tell you. 400 is long for FF so I hesitate to tell you to link. I’ll leave it to your discretion and won’t pull it if you do.